Massachusetts libraries are collaborating with the John F. Kennedy Presidential Library and Museum to celebrate President Kennedy’s 100th birthday and “Build a Better World” as part of the ongoing Centennial Celebration at the JFK Library! This nationwide celebration commemorates one of our Nation’s great Statesmen and proud resident of Massachusetts. The MBLC has worked with the library to create materials for the Statewide Summer Library Program. This summer’s theme is fittingly, “Build a Better World”. These materials are designed to help people of all ages understand how President Kennedy’s life work has touched so many, and continues to resonate today. Three toolkits are available, with one for children, teens, and adults, and include biographies of President Kennedy and his family, fast facts about President Kennedy, an interactive look at the President’s desk, film footage documenting the Kennedy family, a selected bibliography of books, and more. 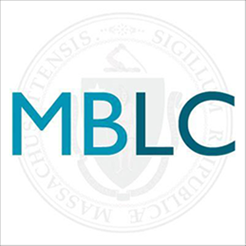 The toolkits are available on the MBLC’s public portal and can be found here. Visit your local library to check out books, and get commemorative posters, bookmarks, and reading lists featuring John F. Kennedy and Jacqueline Kennedy, and to sign your family up for the Summer Reading Program.